Tuition Information: Undergraduate residents $4,440 plus local fees, nonresidents $13,368 plus local fees; graduate residents $5,472 plus local fees, nonresidents $14,400 plus local fees for the 2010 – 2011 school year. All fees are subject to increase at any time. San José State University's Bachelor of Fine Arts in Art program offers several emphases. Animation/Illustration students must choose one of two concentrations after completing coursework in art history, 2D and 3D design, visual principles for animation, 3D animation and illustration. Animation students focus on advanced animation, digital animation and field work, while Illustration students take courses in concept illustration, digital animation, field work and advanced illustration. A senior project is required. Digital Media Art students concentrate on digital video/media ecology, art and information, art as system, human machine interface, advanced topics and a senior project. Graphic Design students take courses in art and design, 2D and 3D design, drawing, photography, digital applications, typography and special topics. Students create a portfolio as part of their studies. A laptop is required. Master's degree candidates take art history courses and do research in the digital media arts. Seminars and an individual exhibition round out the master's degree program. Travel study programs to New York, Los Angeles and London are available. All B. F. A. and M. F. A. applicants must submit a portfolio. Merit and need-based scholarships are available from the university and from the School of Art and Design. Freshmen under age 21 who do not reside in the local area must live on campus during their first year at San José State. San José State University is an "impacted campus," which means many more prospective students apply than can be accepted. 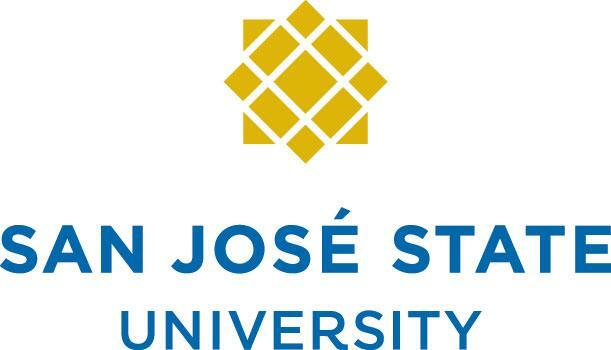 As such, San José State University must restrict the number of incoming freshmen and transfer students it accepts, particularly from outside its state-designated "local area." This is typically accomplished by imposing additional eligibility standards (e.g. higher standardized test score/grade point average combination, called the "eligibility index"). All majors are also "impacted majors," which means that students typically are designated pre-majors and must complete prerequisite courses before applying to their major.